Excellent appartement situé face à l'enceinte de la Foire et Palais des Congrès de la ville, situé dans une demeure seigneuriale datant des années 1960, récemment réformée et avec des vues imprenables sur Barcelone. 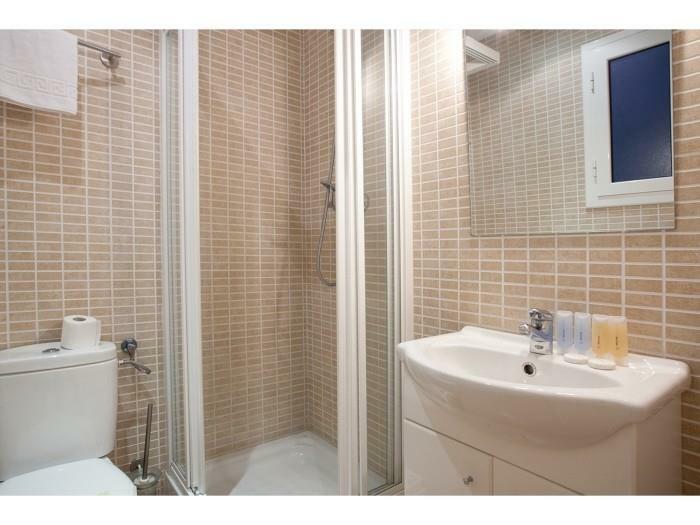 Formé de deux chambres doubles et deux individuelles (toutes avec des lits individuels), deux salles de bains avec douche, cuisine indépendante entièrement équipée et salle de séjour. Bâtiment avec ascenseur. Idéal pour entreprises souhaitant compter sur un centre d’opérations près des différents congrès. Décoration très fonctionnelle et minimaliste. Vous serez entouré de services et loisirs de tout genre. Promenez-vous le long du Paralelo, l’avenue des spectacles de Barcelone, visitez la Plaça Espanya, les fontaines de Montjuic, arrivez au sommet et visitez le château en admirant une vue de la ville et du port que vous n’oublierez jamais. It was a great experience. Really a special, secure and beautiful place. We loved it very very much. I will speak to all my friends about it. Davi, thank you very much for been so professional. We had a perfect stay in an good location and luxury living appartment! A very nice, clean and comfortable apartment! The views are great. Only thing missing is a dishwasher. Lovely and well furnished apartment. 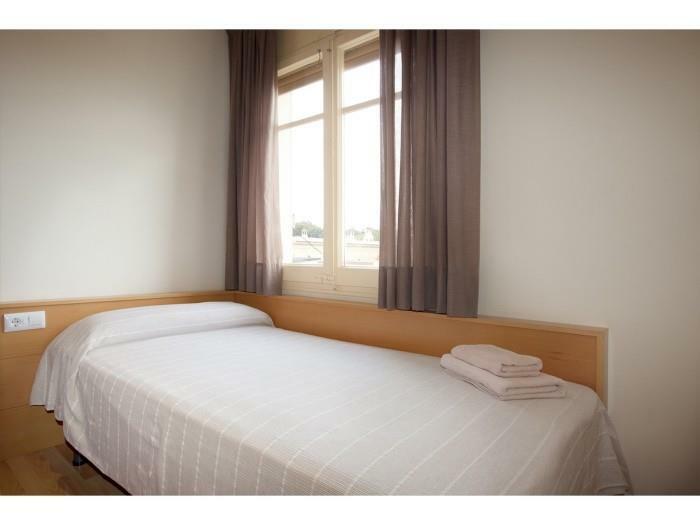 Very good spacious apartment, clean with all necessary equipment. Good views over the city in quite area. There is a problem with the boiler of the apartment 5.2. Not easy to take a shower with hot water. Classbedroom: we are really sorry that you had a problem with the boiler. We solved it in less than 24 hours. Good location. Apartment is clean and large enough, with all the required equipment for a nice staying (except for the oven that is a small microwave). We had to set the heating at maximum to have the right temperature for us, but it was comfortable enough at the end. A beautiful apartment. We had a fabulous time staying in this apartment. It was spotlessly clean and in a perfect location to explore Barcelona. Will definitely use again. Thank you. Nos gusto mucho el apartamento esta muy bien cuidado y cerca de donde se realizaba la feria, sin duda volveremos. Estuvimos muy cómodos, el departamento está excelente y muy bien ubicado. Muchas gracias. Amazing apartment, very spacious and clean. A lot way out from the main city centre but plenty of restaurants, bars, etc nearby. The apartment is in a quieter area which was actually a nice relief from the main tourist areas and it was very easy to get taxis from outside the hotel next door. Would highly recommend for a group or family. Appartamento pulito e in ordine, con gradevole panorama. Peccato che le porte interne non avessero la chiave, inoltre in cucina mancavano carta o stracci per asciugare. Ma complessivamente soggiorno piacevole. Voto 8. Very nice apartment! Everything what it said to be! Appartement spacieux et relativement bien placé.Seul l'odeur des égouts dans la cuisine est désagréable quand on rentre, penser à fermer les portes. Quartier tranquille, station de métro à proximité. Totalmente recomendable. La ubicación es perfecta y el piso es limpio y acogedor. Repetiremos. Bel appartement, propre et agréable. Excentré mais proche du métro. 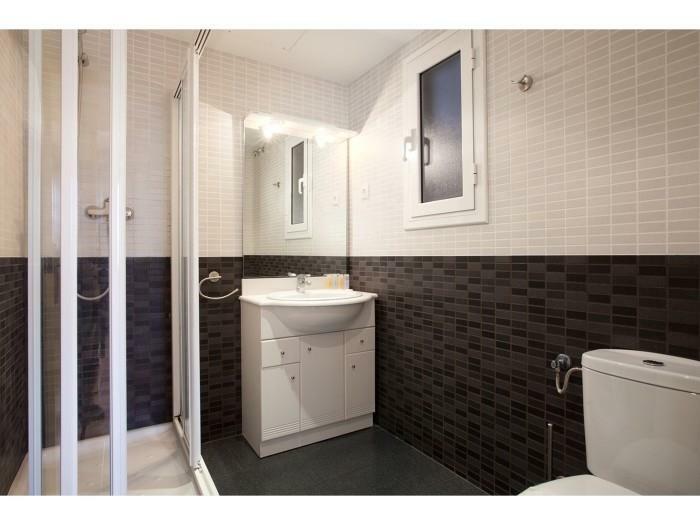 Really great Apartment for visiting Barcelona. We enjoyed our stay. Warm welcome. Problems with cleaning have been solved quickly. We can recommend the Apartment! Very happy we stayed in classbedroom apartments!!! This was the best possible choice for our visit to Barcelona! The courtesy and professionalism of the staff made our stay an absolute pleasure. The apartment was clean well stocked with utensils in the kitchen and had a great view. 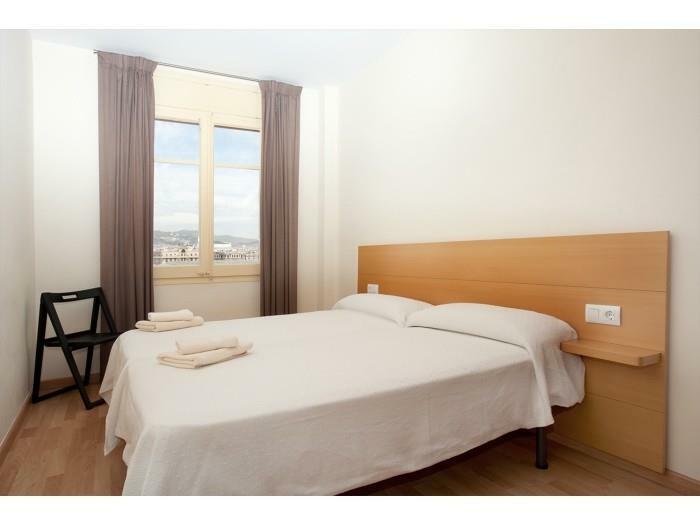 It was very well situated near public transport, taxi service, and within easy walking distance of Montjuic Fountains. We could not have found a better place! Great apartment. Absolutely no problems. I would have no hesitation in renting again, or recommending to others. The apartment was a bit dusty, but apart from that was everything perfect. The staff at classbebrooms are vey helpful and plesant to deal with. They are professioanl and appreciate the requirements of their clients. I would recommended Classbedrooms. In respect of Montjuic Fountains, the location is ideal for our purposes and is within easy access to all forms of transportation. Perfect location to whom attend conference at palau de congressos. Large room and facilities. Excelente la estancia en este piso de Montjuic, comodidad y cercania a los diferentes medios de transportes de la ciudad y muy buena ubicacion. Very good value for money - clean, and with air conditioning and wifi. Lots of space for 5 people! The only negative issues were that on check-in the building was extremely difficult to locate because there was no signage or numbering. Damien was very patient and friendly and his English was excellent. The check-out procedure was not explained to us though. Also, the crockery, glasses & cutlery were not cleaned properly. We had to wash everything before using it. Other than that, the location was beautiful and ideally situated from a tourist point of view. The accommodation was comfortable and perfectly suited to our needs. We thoroughly enjoyed our stay. Thank you! 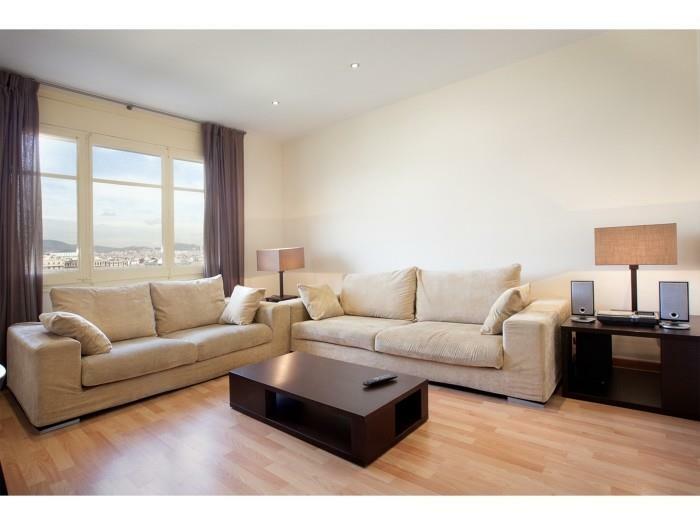 The apartment was wonderfully spacious, close to metro and within walking distance of some great sites! 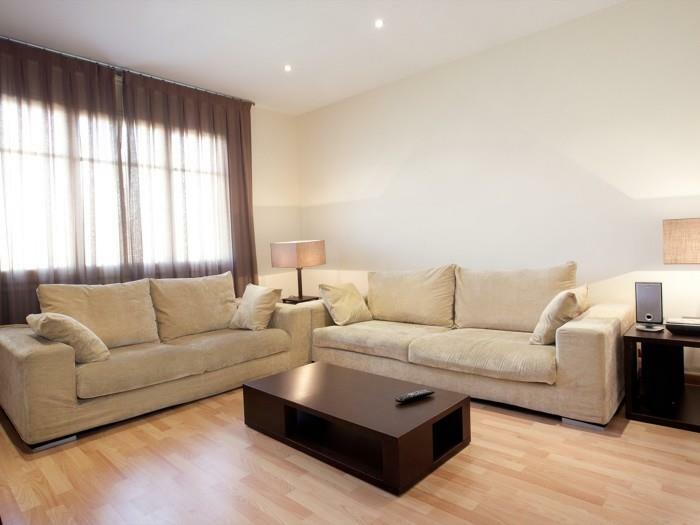 Great apartment, clean, bright and well furnished. Happily stay there again. Location is fine and on any other trip would also have got a 5/5. The apartment met our needs for the purpose of our stay in Barcelona. The greeting was very pleasant and welcoming. Having stayed at the apartment I was aware of the facilities but confirmation of this was asked by the representative of Classbedrooms before the apartment was handed over. 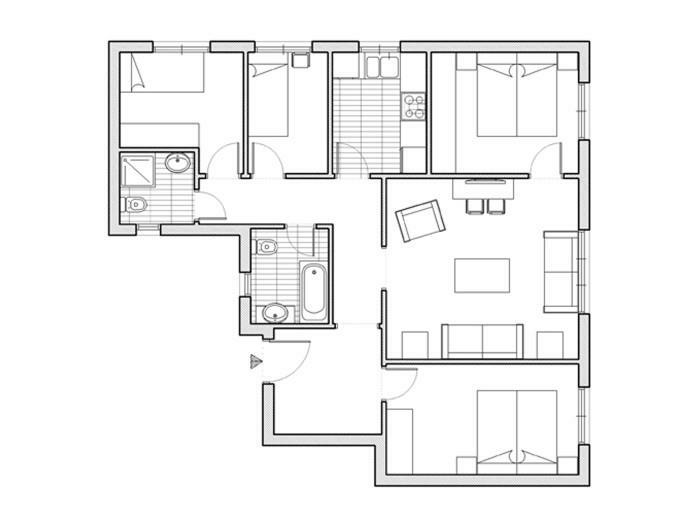 we would certainly recommend Classbedrooms and plan to use the apartment again in the future. Thank you for this very nice stay in your appartment. We had a great time there and everything was OK. We will recommend you. 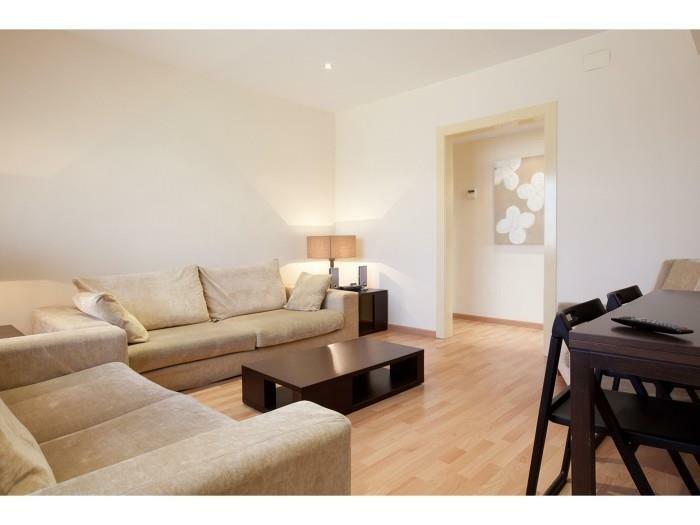 Very nice appartment, though a bit far to walk into the centre (Placa Reial, Rambles,...), so you better take the metro. 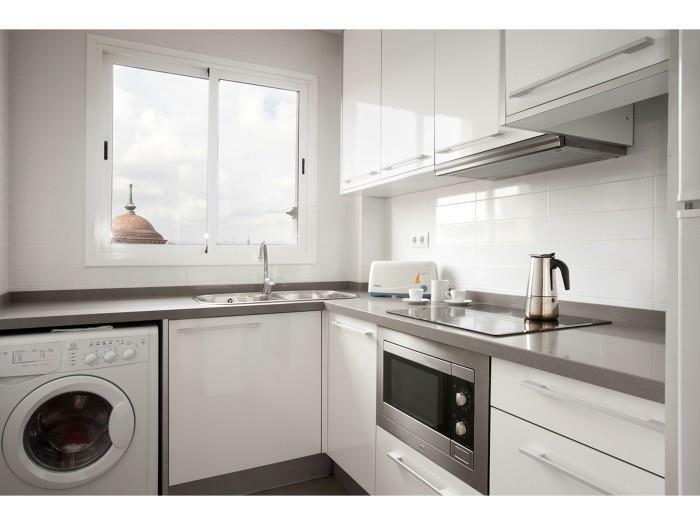 Perfect apartment with amazing view, super clean and comfy, located in a beautiful area. There is nothing we could complain about.